Janie Johnson's life has been in turmoil ever since she discovered she was kidnapped as a young child. Visiting and getting acquainted with her birth family was difficult. As the story spread throughout high school, facing her curious classmates was even worse. Maybe this year will be better now that she's no longer the focus of attention and she will be a mature junior. But late one night she hears her friend Reeve hosting a call-in program on a college radio station. To her horror, he reveals her story to his fans. Suddenly Janie's world is turned upside down again. The Voice on the Radio continues the enthralling tale of Janie Johnson that started with The Face on the Milk Carton and followed in its sequel, Whatever Happened to Janie? Award-winning novelist Caroline B. Cooney explores betrayal, love, and the power of words in this gripping page turner that can be read alone or as part of a series. 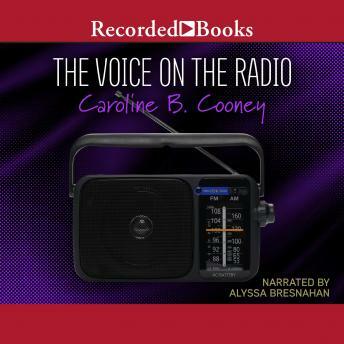 Narrator Alyssa Bresnahan's dramatic performance enhances the growing suspense.